This high quality hard cover edition contains the first half of Year 3, which includes Tom Taylor’s last stories he wrote before he left the comics to focus on his other projects. 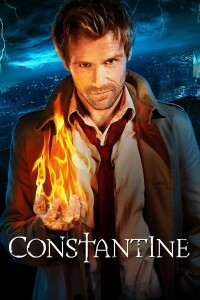 The comics features John Constantine, who decides to start a personal war against Superman and his regime after a relative falls an innocent victim of the war between The Man of Steel and The Green Lantern Corps. The release of this book is perfect as Constantine will appear next week on Arrow, played by Matt Ryan, who also portrayed him in the unfortunately canceled TV Series Constantine. Take a look at the description for more information. 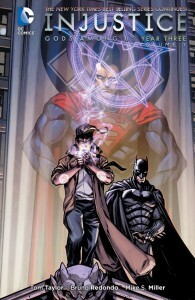 The next chapter in the landmark best-selling series INJUSTICE: GODS AMONG US! On one side: Superman and his Justice League, with their allies in the Sinestro Corps, who sought to bring peace through absolute order. On the other side: Batman’s army and the Green Lantern Corps. It ended with Superman wielding a fear-powered yellow ring, murdering Black Canary while the world looked on. But Batman lived to fight another day…and he always has a back-up plan. Only one force in the world can hurt a Kryptonian wielding a Sinestro Corps ring-magic. 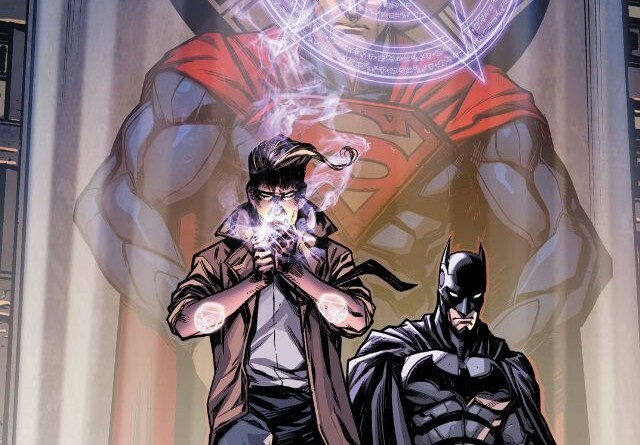 Now, with mage John Constantine seeking his own revenge against Superman, the sorcerer con man is helping Batman to add the greatest magicians in the universe to his growing army. With the most powerful magic users in the universe on their side, the Man of Steel shouldn’t stand a chance. And yet…something mysterious is protecting the Justice League. Something that wants to protect Superman’s vision of a world under his control…something deadly enough to kill some of the most powerful beings in the universe. Explore the world behind the smash-hit video game from the makers of Mortal Kombat in INJUSTICE GODS AMONG US: YEAR THREE, as red-hot writer Tom Taylor (EARTH 2) and artists including Bruno Redondo (HUMAN TARGET) and Mike S. Miller (BATMAN: ARKHAM UNHINGED) deliver some shocking changes to this twisted take on the DC Universe! Collecting INJUSTICE GODS AMONG US: YEAR THREE #1-7.